5th Grade Fundraiser at Chipolte on 2/11! 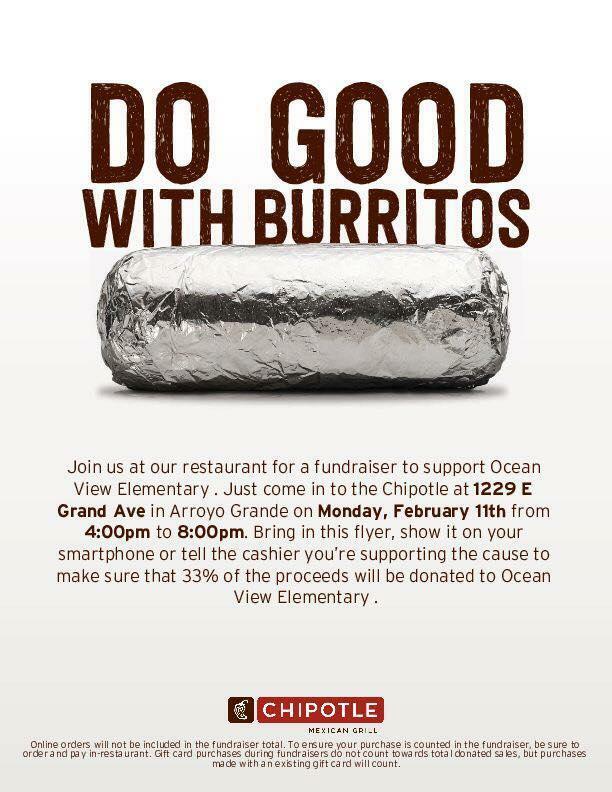 Join us at Chipotle restaurant for a fundraiser to support Ocean View Elementary's 5th-graders. Just come into the Chipotle at 1229 East Grand Ave in Arroyo Grande, on February 11th from 4:00 pm to 8:00 pm. Bring in your flyer, show it on your smartphone or tell the cashier you’re supporting the cause to make sure that 33% of the proceeds will be donated to Ocean View Elementary.